The Irwin Audio Plus Signal generator offering both sine and square wave outputs. The frequency range is digitally controlled from 0.1Hz to 200KHz and the frequency is displayed on a five digit LED display. 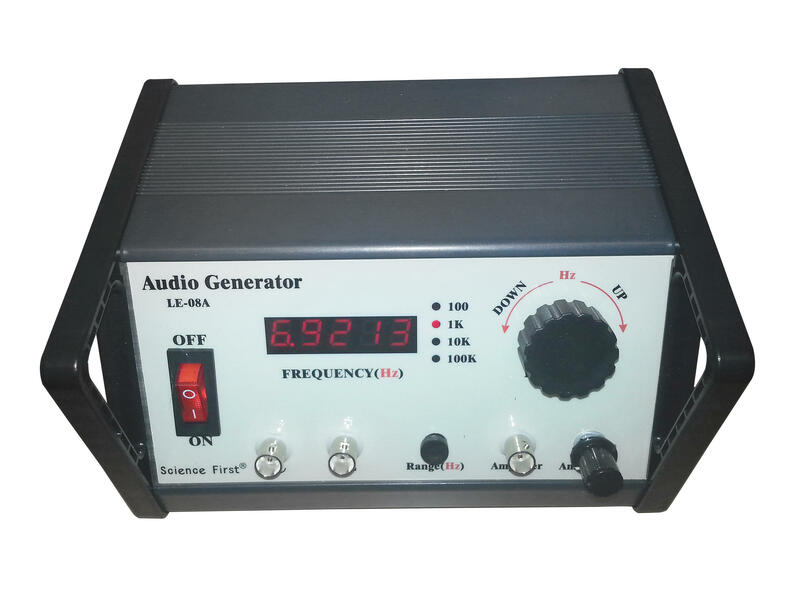 The frequency may also be selected by pushing the range switch (100, 1K, 10K 100K) and then by turning the dial to select the precise frequency required. The unit has a built-in loudspeaker which may be switched off if the sound is not required. The unit has a built-in amplifier which is accessed via a BNC connector. Sine and square wave outputs are also accessed via BNC. The unit is mains powered and comes complete with a moulded IEC mains lead.